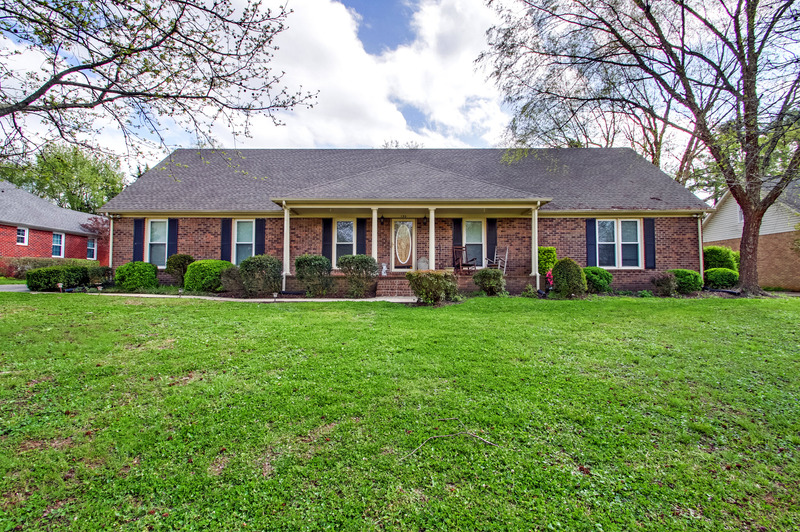 Just off the well-traveled Memorial Boulevard, is a beautiful all-brick home-sweet-home. The inviting home displays an enticing curb appeal. It offers a stunning green landscape with a walkway leading straight up to the raised front porch. The pillars and contrasting shutters bring the home to life with characteristics of fairytale meets sophistication. This lovely two story home hosts four bedrooms, three full bathrooms, a bonus room, and comfortable living areas. The fenced-in backyard provides a mesmerizing retreat into a sparkling in-ground pool and patio area. All of the beauty perfectly embodies the wonderful qualities that transform this house into a home. The classy living room is enveloped by calming, light tones. 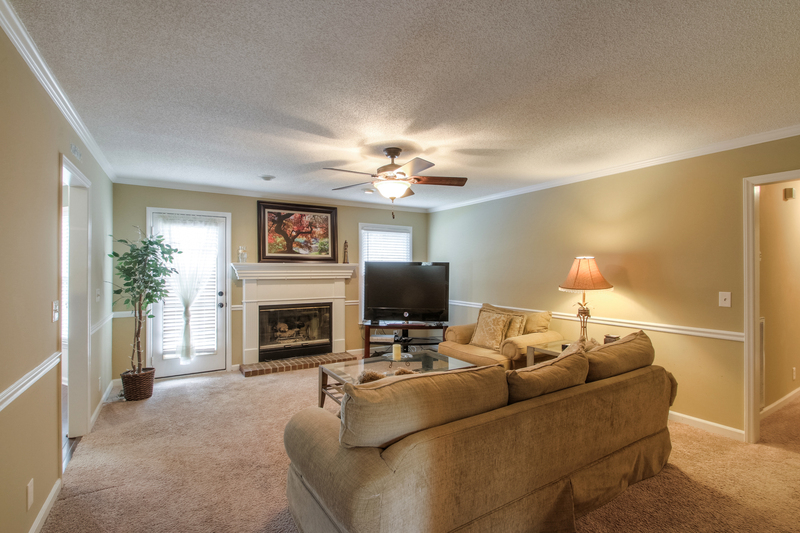 Cozy carpeting and a beautiful fireplace create a space of relaxation and ease. The lovely white mantle matches the delicate white trim that traces the room. Natural light streams in from the windows, which also provide a gorgeous scenic view into the backyard. Whether you’re invested in a good book on the couch or hosting an evening full of guests, this room is a wonderful setting. 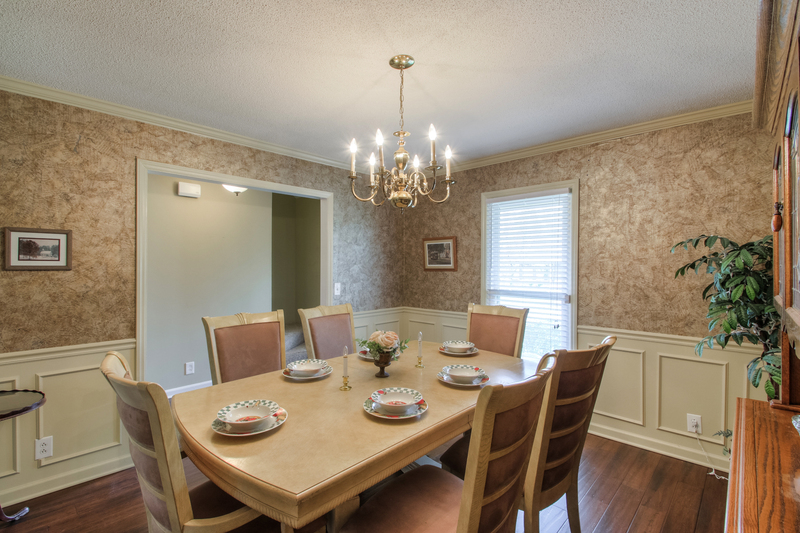 As you enter the dining room, you’re drawn into classical themes and formal settings. Ornate, white wainscoting balances the detail of the rest of the walls that encompass the room. The simple, yet elegant, light fixture and the wood floors further showcase the sophistication that this room naturally offers. A lovely dinner with friends or a warm Saturday breakfast with the family are perfect occasions for this room. 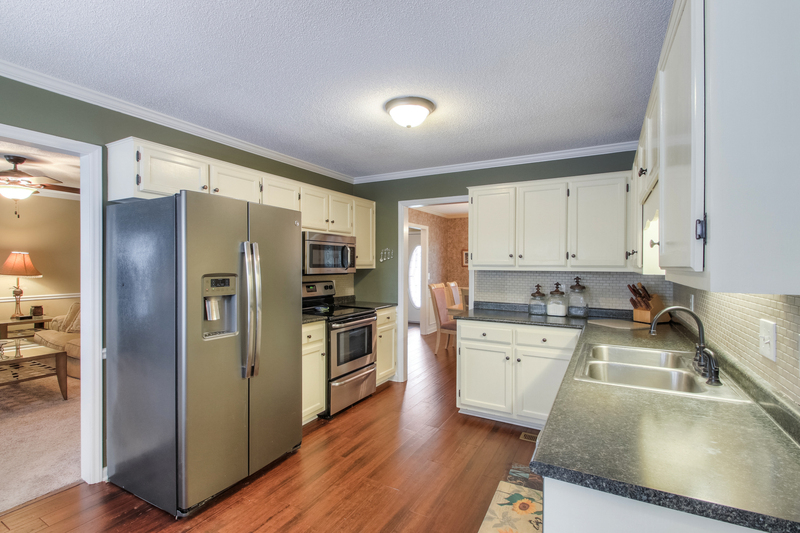 Hardwood floors continue from the dining room into this lovely eat-in kitchen. White cabinets and a light backsplash contrast the dark countertops and richly green color of the walls. But this room isn’t just appealing to the eye. Its practical advantages also include significant countertop and storage space and an eating area. This is a wonderful space for creating delicious meals, baking cookies with the kids, or even just enjoying a view of the backyard through those lovely bay windows. Carpeted floors and a neutral wall tone promote leisure and comfort. 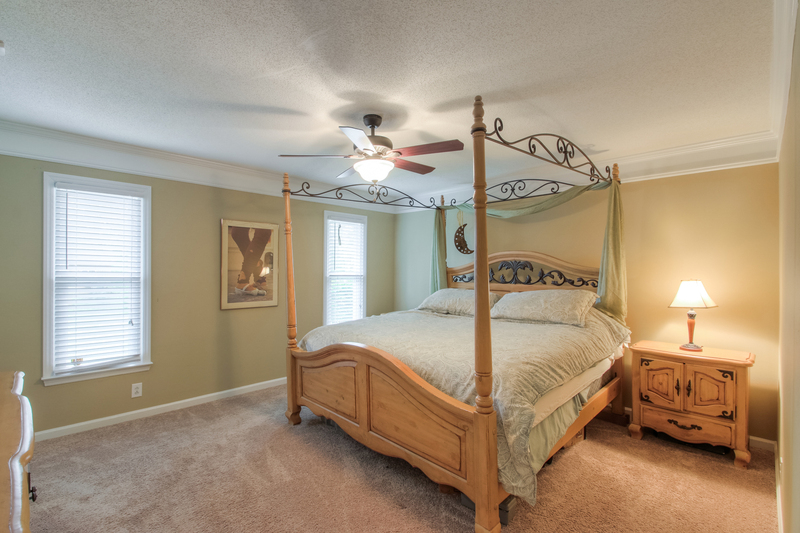 The room is simple in design, with plenty of space for any resident to make it their own. This room is also connected to the master bathroom. A double vanity as well as a shower and tub combination, turn this whole space into a convenient and desirable master suite. The home on 130 Brentmeade Drive is zoned for Erma Siegel Elementary School, Oakland Middle School, and Oakland High School. For those seeking private education options, Murfreesboro has several of those as well. Franklin Road Christian School and Bellwood Christian Academy are just two of the private schools in the area. Furthermore, adults seeking to continue their education can take courses at one of the two nearby schools: Daymar College or Middle Tennessee State University (MTSU). Murfreesboro has plenty of educational opportunities for each resident.